Tame Impala‘s Kevin Parker has spoken out on the chances of the band returning to Glastonbury to headline – and if they’d ever collaborate with Arctic Monkeys. 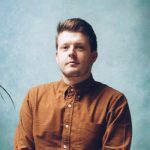 The frontman was speaking to Matt Wilkinson for Beats 1, when he discussed the opportunities of returning to the Pilton Festival to top the bill at Worthy Farm. “What’s funny is that I was chatting to my manager about it, and I was like ‘If we played Glastonbury again, what’s gonna happen?’ Because there was talk of maybe headlining The Other Stage,” he replied. With Tame Imapala and Arctic Monkeys mutual fans of one another (and sharing live member Cameron Avery), Parker also spoke out on whether he’d ever work with frontman Alex Turner. “Absolutely, yeah, I mean I’m always keen for trying new things and I haven’t really worked with someone like Alex,” he replied. In other Glastonbury news, Emily Eavis recently said that they’re progressing well with the line-up for Glastonbury 2019, revealing that the Legend’s Slot will be a ‘non-British female’ and that Paul McCartney is ‘top of their list’ to headline. With news on their hotly-anticipated new album expected shortly, Tame Impala recently made their live comeback at Spain’s Mad Cool festival.